Paterson & Dowding continues to sponsor the Murdoch University prize in Family Law. Supporting personal development and celebrating excellence in performance is an integral part of the firm’s vision. 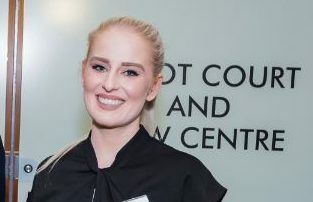 Murdoch University student Katie Marshall is the 2018 recipient of the Paterson and Dowding Prize for the highest academic achievement in Family Law. The directors of Paterson & Dowding wish Katie well for her future.